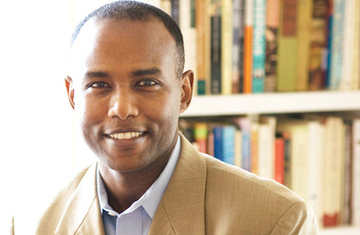 Above: Arkan Haile, a candidate for the vacant at-large D.C.
City Council seat. The special election is set for Tue., Apr 26. New York (Tadias) – We were recently contacted by the campaign of Arkan Haile, a candidate for the vacant at-large D.C. City Council seat, which will be decided through a special election on April 26. He is among at least 17 candidates running for the seat, which became vacant Jan. 2 when Council member Kwame Brown (D-At-Large) was sworn in as the new City Council Chair. 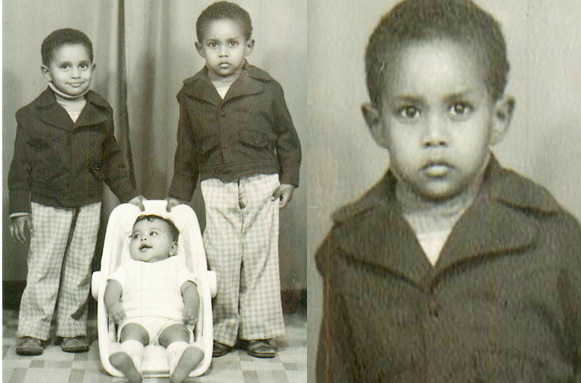 The Eritrean-born attorney is seeking the support of the Ethiopian-American community, one of the largest African immigrant populations in Washington D.C.
Arkan is a successful lawyer and father of two children. He immigrated to the U.S. with his parents in 1981 when he was 10 years old, and became the Co-Founder of Gray Haile LLP, a corporate law firm which specializes in mergers, acquisitions, and securities with offices in Washington, D.C., Philadelphia and New York. 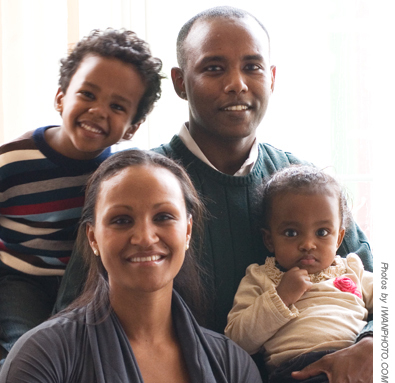 Haile currently lives on Capitol Hill with his wife, Nazrawit (Naz) Medhanie, and their son and daughter, ages four and one. His wife is a performance monitoring specialist with an international development firm. She graduated from Duke University, where she was a shooting guard on the basketball team and member of the school’s first women’s Final Four team in 1999. But he also notes that his professional experience in finance and law, coupled with his experiences as an immigrant, will help him bring a fresh perspective to solving the District’s budget woes, as well as ability to focus on matters confronting the city’s struggling communities. As an immigrant citizen, I think it is vital to vote for the young man who can voice on our behalf and bring some kind of representation for the Horn of African community in the DC city counsil. Let us help him elected! Great. Hope he wins he would truly be a change to the norm but it’s a numbers game he got my vote. He seems like a decent, hard working regular guy. He is smart, he seems to understand the issues. He will be a fresh face on the council but most importantly we do need more than one sympathetic ear. Why not? We already have on in Jim Graham, who has been a solid friend of the community. But Arkan will be an excellent addition. Let’s give the brother a push. If he doesn’t deliver, then we will vote him out. That’s democracy! He certainly is well educated in big business and law, but I wonder how much community work has he done. Grassroots work is essential to making it in politics. Will there be a debate? If so, when and where? i think he will be a “voice” for the large horn of african community. lets vote the brother in!!!!!! Great person you are and you are “Arkan”like your name.